Heather is happy to be part of the Vibrant Communities team as the Manager of Cities, Cities Deepening Community. Before this position she was the Manager of Learning Services where she organized Community of Practices, learning opportunities, tools and resources for community change. Heather brings over 12 years of public health knowledge to this position. Heather has a passion for helping communities to realize that they are in charge of their future and to take leadership in assessing their own resources and needs. Heather believes that people have choices. They can either sit back and let others determine their future or they can stand up and create their own. Heather has 13 years of experience generating action at a grassroots level. She loves guiding groups through program planning, implementation and evaluation of local efforts. She has a Bachelor's degree in Health Studies from Brock University, a Graduate diploma in Nutritional Science from Canberra University, Australia, a Graduate Diploma in Health Promotion from Canadore College and currently working on a Certificate for Knowledge Mobilization. 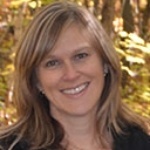 Heather has presented at several provincial, national and international conferences regarding her work on walkable communities and building healthy communities. Heather resides in the Burford area with her husband and three boys. When she is not baking, she is either camping or volunteering her time at her children's school, local Scouting and as a member of the local Optimist club. 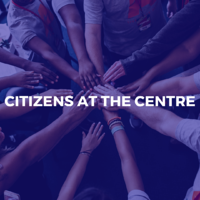 Tamarack is excited to present a special one-day workshop with Max Hardy, a leading Australian Community Engagement consultant, along with Liz Weaver and Sylvia Cheuy of the Tamarack Institute to learn core principles and innovative practices to better engage your community. Drawing on case studies from Australia and Canada, as well as techniques and activities that demonstrate alternative ways to meaningfully engage communities/citizens throughout the lifespan of your project, workshop participants will leave with the confidence to design and lead efforts to generate effective solutions to address our most challenging community issues.